Kevin Steen is a Canadian professional wrestler born on 7th May 1984. 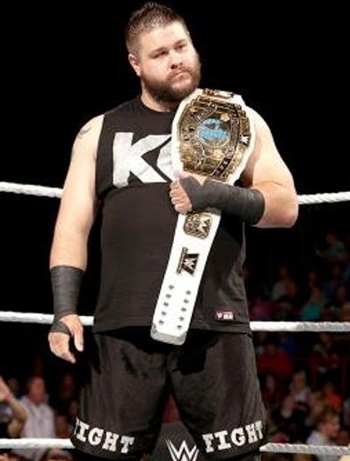 He is signed to WWE, where he performs on the Raw brand under the ring name Kevin Owens. At the age of fourteen he began training with Serge Jodoin, a wrestler based in Quebec. Shortly after, Kevin started training with Jacques Rougeau and afterwards with Terry Taylor. In 2004, Steen made his Combat Zone Wrestling (CZW) debut at the High Stakes event. A year later, he won his first championship in CZW. Along with CZW, Owens as well started working in Pro Wrestling Guerrilla (PWG) here he as well won the PWG Championship. The wrestler was signed by the World Wrestling Entertainment (WWE) during 2014 and after performing at its development division NXT, Owens made his WWE main-roster debut in 2015 on Raw. Throughout his career, Kevin won several championships and is one of the recognized wrestlers worldwide. As for his personal life, Kevin Owens became married with Karina Steen in 2007 and the couple has two children together. 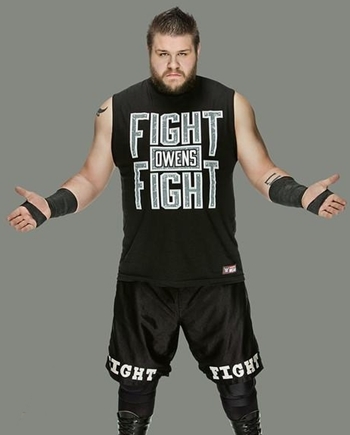 The complete WWE superstar Kevin Owens body measurements details are listed below including his weight, height, chest, waist, biceps and shoe size. The wrestler is a zoo enthusiast. Kevin named his son after Owen Hart. French is his first language, Owens learned English from listening to Jim Rose commentary. He has been friend with Sami Zayn for many years now and they even held the tag team titles together in Ring of Honor (ROH) and Pro Wrestling Guerrilla (PWG).